I can’t read those rather undramatic words without remembering the fear I felt holding my tiny six-month-old baby and trying to get him to wake up, move, respond, anything. I remember the rasping wheezing sound of his breath as I tried to call the advice line to see what I could do, and being met with a barrage of questions about my insurance details, address, and other things that I really didn’t what to deal with right then, before explaining the symptoms and hearing the words “Call an ambulance”. Well, gee thanks. I could have done that three precious minutes ago. The dispatcher told me the emergency doctor was on his way, and to wait outside the house for them to come so they could find us quickly, so I stood outside for a private eternity, trying to stay calm so my family wouldn’t get even more scared, while a truck decided to deliver in the shop next door and caused a traffic jam in both directions. 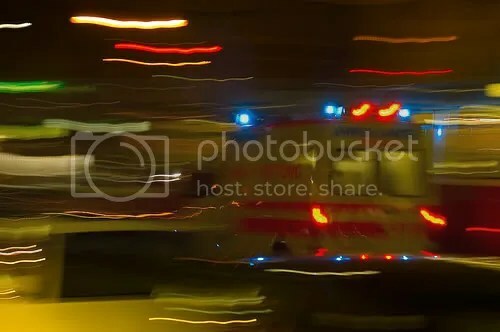 The doctor’s red and white mercedes came, blue lights reflecting off the houses, and they piled out carrying oxygen bottles, monitoring devices and other unfamiliar but strangely comforting tools of the trade, asking questions even before they were through the door. Our little boy still wouldn’t respond to light, noise or gentle shaking so an ambulance was called. We carried him there, lit by flashing blue lights, with neighbours watching through the windows, although I admit I felt a slight stab of justice when I saw the Ambulance was parked in the loading bay, blocking the truck in. After continual talking and massaging in the ambulance, I was rewarded by a squeeze of his fingers as we rattled through the morning rush-hour traffic, and the ambulance drivers were fairly confident that he’d be okay, but he didn’t really seem to wake up until he was being examined in the hospital. The form shows a great long list of things they checked before coming to the eventual conclusion it was Croup, probably aggravated by the Feinstaub (Particle pollution) from diesel engines: at the time we were living in an apartment next to a street with 1500 trucks and 13000 cars passing daily. That morning ‘caring for the environment’ became personal. For me it’s not just about ‘looking after the earth’ but a memory of waiting for the doctor and not knowing if my little boy would die. I don’t want other parents to have to stand on the street, praying the ambulance will come quickly, that their child will wake up or just keep breathing. We’d followed the cultural belief that ‘one day’ we would have to get a car but on January 30th 2007, that changed. Our family learned first hand the cost of society’s addiction to driving everywhere, and decided we won’t live that way. The process that resulted in us getting the Xtracycle, going to Amsterdam and bringing a bakfiets to Stuttgart and much else, was kicked into high gear that morning. We’re a car free family in a car obsessed culture: this is our story. Andy, that’s really heartbreaking (and brilliantly told). Very moving, brilliantly told. Good luck man. Many thanks. Enjoying your blog as well. Please keep telling the ‘warts and all’ stories. Andy, very moving. I appreciate your leading. A super blog Andy, I’ve been sat here for half an hour reading through it. It’s very fine to encounter a very well written, interesting blog and I admire your principles and the way you put them into practice. I’m a lifelong cyclist but don’t have the courage to cycle round here in Snowdonia, the tourists scare the living daylights out of me. Compared to here, my old home town of Glasgow is a doddle. I also love your reflections upon Japan, somewhere that is a mystery to me. hey, tag-surfed my way here as I was looking for other xtracycle people… that is a terrifying story about your son. I am making a pretend rego plate for my xtracycle that reads ‘clean air’. Back in the 1970s, stopping child deaths due to traffic accidents provided the political will for the Netherlands to change the way they planned things, making cycling a majority activity. Our death/injury toll due to traffic accidents is very low in comparison to what was happening at that time in the Netherlands, but the cumulative effects of air pollution may turn out to be much worse. Thanks for your thoughts. It was terrifying: I just reread this post for the first time in several months and it still terrifies me. I like the idea of the pretend licence plate. I’d do the same but I tend to reverse the Xtracycle up against posts to lock it so the plate would get damaged. Not as dramatic, and not related to pollution, but similar in that it was a truly clarifying experience–watching my child struggle to breathe. The story you told and the way you all have changed your life in the wake that scary day–this would make a wonderful chapter in the RPM feature-length doc. I’m hoping we can find a way to get an interview with you and perhaps your wife, some footage of your car-free life with kids, and some of your gorgeous photos? What do you think? What would you need to make that happen? How can I help? Hi andy, I found your blog as I was searching for furniture making in Berlin. I’m an amateur furniture maker based in Australia and would really like to move to Berlin to continue to pursue furniture making/expand my skills and knowledge… had a quick browse of your posts about your carpentry apprenticeship, wondering if you found any courses in traditional carpentry/woodworking? thanks! Isaac.